At this stage, you should have a good idea of the main topic for your website, be it “Harry Potter Books” or “Interactive Slots Strategy”. Before going any further, you need to check out the competition, purely to see what you’re up against. 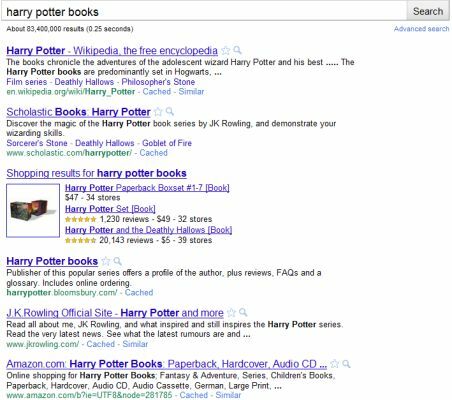 Search a phrase like “Harry Potter Books” or “Interactive Slots Strategy” and look at what websites are in the top 10 in google. Searching “Harry Potter Books” for example makes me think that – no – based on quality, we can’t actually offer anything better than the existing sites there. As of this writing there is lots of top quality websites in the top results like JK Rowlings official website, Scolastic Books and other websites which offer a great deal of information on the Harry Potter Books. So at this point you may need to go back to the drawing board slightly – try phrases like “the order of Harry Potter books”, “Harry Potter audiobooks” or “buy Harry Potter books online”. Even use this Google Keyword Tool to offer suggestions. “Interactive Slots Strategy” on the other hand, you’ll see at this point absolutely no competition. That may actually not be a good thing: if theres’ not one website optimized for the phrase, it may mean no-one really cares about the phrase. So you might want to use Wordtracker to see if anyone is searching for the phrase. Even if it looks like it isn’t a competitive phrase, sometimes it’s best to just to go for it. It may not be a popular niche or searched term now – but if it becomes popular in a few years then you’re sitting pretty. You can even use automated tools like Search Metrics. This is an awesome program that I use and would highly recommend. I remember when Cake Poker first launched – I was one of their very first affiliates, and I started promoting them like crazy even though no-one actually cared about them at that time. They could have went the way of many a poker room which closes after 6 months but they didn’t; they grew, they prospered and they became hot. Guess what? I reaped the benefits, because I was dominating the search engine results and had got in before everyone else. Overall though – check out the competition, see what you’re up against and if you can tell yourself “I can be one of the top 3 sites for this term” then you’re good to go! Contest: Win the Flytonics Framework & MMA WordPress Theme!